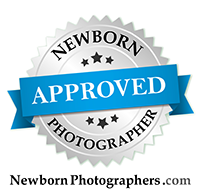 Sacramento Children's Photographer - Visit to West Texas! We had a fabulous little getaway this past weekend. My husband's grandmother celebrated her 90th Birthday, and my mother-in-law put together a surprise party for her. We flew out with the kids, as well as my brother-in-law and sister-in-law, and their kids. The cousins had such a great time together! I had a few opportunities to take pictures, and I have to say, even though Panhandle and Amarillo, TX, are very FLAT... there were some GREAT country textures and backdrops for photos. We had a fun trip to the western store, where Nona and Grandpa bought each of the kids a pair of boots. We added in belts and hats, and had such a fun time on this family shopping trip. And here are some of the results! Thanks Nona & Grandpa Lew for such a great trip! And... this was the guest of honor. Look at her beautiful face! I just love this picture. She's such a neat woman, and sharp as a tack at 90 years of age. Grandma Polly - you are an amazing woman. A few photos of my little ones, by the creek after our big storm. Little Schae turns two in just a few weeks! Look at those lips and eyes! He's just adorable.